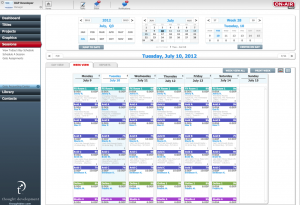 SESSIONS is a module that provides in-depth post-scheduling capability to the ON-AIR Pro™ system. By browsing to a particular date, you can build a daily session schedule either manually or from an unlimited number of user-defined templates. A further level of detail is available where actual promos or graphics orders can be selected from the PROJECTS module and assigned to the workload for a given session. 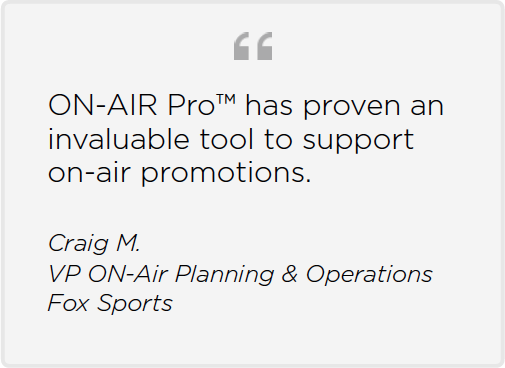 ON-AIR Pro™ automatically builds assignment sheets utilizing the promo session information, closing the loop on production tracking. 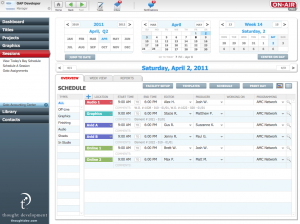 In addition, the SESSIONS module generates weekly and daily schedules of operators and facilities, based on work orders. It allows the Production Manager to schedule completed rough-cut projects from off-line into on-line and sweetening bays. 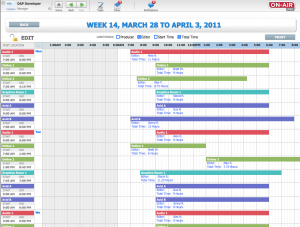 It also includes searching, sorting and reporting abilities. The module streamlines the post-production scheduling process and provides a convenient, consistent and dynamic way to share and receive constantly changing information. Streamlines the excessive paper work. Provides a convenient, consistent, and dynamic way to share and receive constantly-changing information. 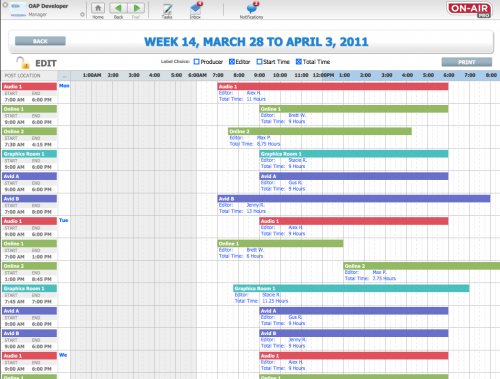 Weekly view on screen for quick glance on how the schedule is shaping up.